Generatortech, Inc. is the world’s leading authority on detecting field winding shorted turns. Generatortech, Inc. was founded in 1989 by Mr. Donald R. Albright who developed and refined the techniques for acquiring and analyzing air-gap flux probe data while at General Electric in the early 1970’s. (D.R. Albright, "Interturn Short-Circuit Detector For Turbine-Generator Rotor Windings," in IEEE Summer Power Meeting and EHV Conference, July 12-17, 1970). 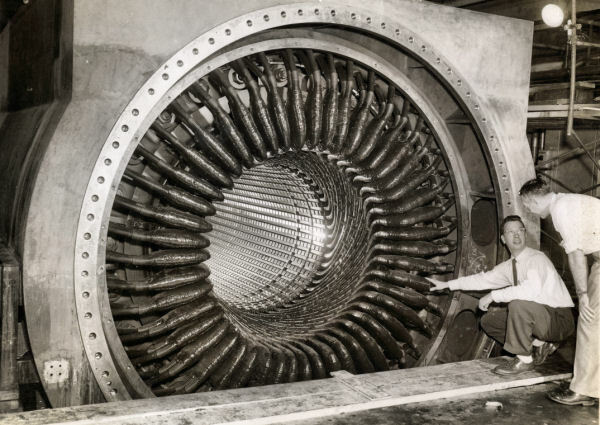 While at GE, Mr. Albright recognized being able to assess rotors for shorted turns while at speed and temperature was tremendously important for generator owners. Once Mr. Albright retired, he returned to GE as a consultant and developed their department to provide and install flux probes, and trained their technicians/engineers to analyze the results. After a few years consulting to GE, Mr. Albright wanted to more agressively market the flux probes. Recognizing that the use of air-gap flux probes was a critical need for the power industry, he formed Generatortech, Inc., dealing exclusively in the use of air-gap flux probes for assessing generator rotor shorted turn conditions. Since 1989, we continue to refine and improve the technology, software and hardware and have provided air-gap flux probes for over 4000 generators. Throughout the world, the name Generatortech has become synonymous with air-gap flux probes and shorted turn detection. We also sell products and services directly to end-users in the power generation, oil refining and drilling, chemical, pulp and paper and various co-generation businesses. Lastly, our customer base includes essentially all of the independent and most of the manufacturer based generator service companies in the US. We currently have very active markets in the US, Canada, Caribbean, South Africa, Australia, Korea, Japan, Italy. We also do business in UK, France, China, India, Thailand, South America, Mexico and other areas of world. At Generatortech, we deal exclusively in shorted turn detection. Our experience level is unmatched in the world. Our customers receive unlimited technical support at no cost. Purchasers of our analysis systems can email files to us years later and we will render an opinion on the data.